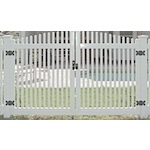 National Metal Industries offers a variety of PVC Fencing and related products to suite your every need. 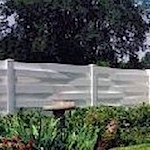 National Metal manufactures a full line of PVC Fencing including spaced pickets, privacy fencing, railing systems and arbors available in many styles and colors. 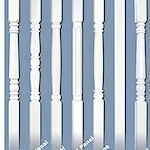 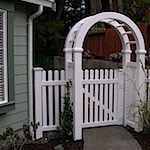 Many PVC fence styles to choose from. 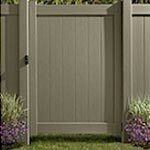 Private to semi private, traditional and contemporary. 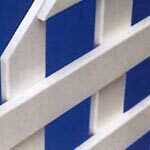 National Metal stocks a wide variety of PVC sections, gates, arbours, and deck railings. 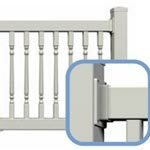 High quality and stylish backyard gazebo, pergola, pavilion or cabana are sure to add that "wow" factor to your landscape. 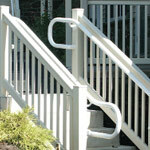 Yard Accessories add the finishing touches to the exterior of your home.